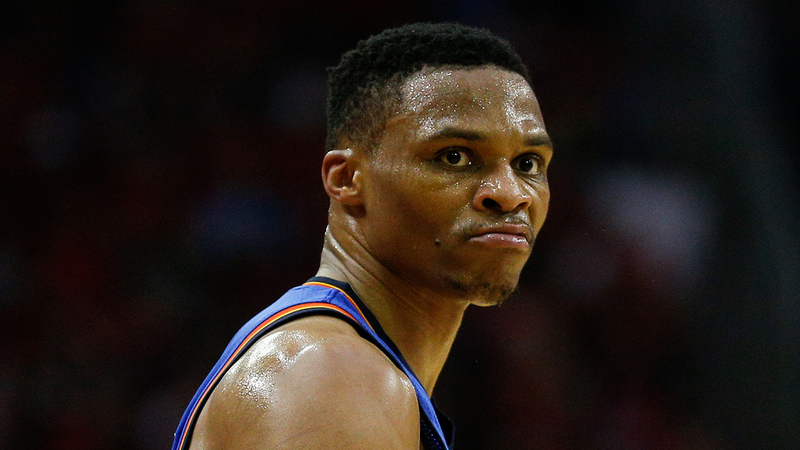 NBA PLAYOFFS: Should OKC trade Russell Westbrook? | Bring Your "A" Game Sports Talk! He’s the reigning NBA MVP. He’s the first player in Association history to average a triple-double in consecutive seasons. Russell Westbrook’s personal accomplishments stand among the game’s greatest. The Oklahoma City Thunder should still seriously consider trading the guard this summer after yet another postseason letdown for the squad. You read that right. An organization that Russ helped put on the NBA map following its move from Seattle should relieve itself of the future Hall of Famer. It seems pretty ridiculous on the surface. Relevance in the NBA is an important thing, especially for those in a small market. Just ask Milwaukee before Giannis or this year’s version of the Memphis Grizzlies. Having star power is needed to lift up a small market. That’s the economic situation here. On the court, Russ and his Thunder have failed to do anything of substance during the most important time of the season: The NBA Playoffs. This year saw OKC go down in six games to a much less-talented Utah Jazz team in the first round. That series was only extended beyond a fifth game due to Westbrook’s own performance. And thus tells us a story of the Thunder under his watch.